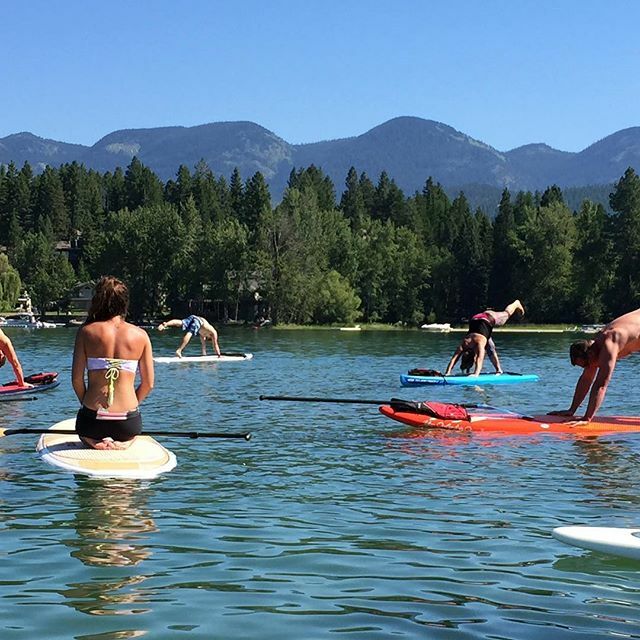 Join us for a 60 minute Stand Up Paddleboard (SUP) Yoga session on Whitefish Lake, with expansive views of Whitefish Mountain Resort and the surrounding landscape! ADVANCE REGISTRATION REQUIRED! No experience necessary and all yoga abilities welcome. 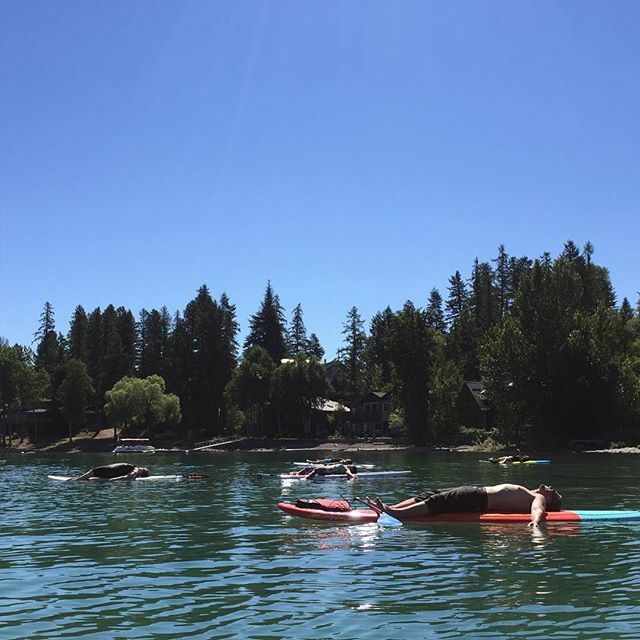 Existing members and punch card holders can use their membership/punch pass on the class, but if you need a board rental, you MUST purchase that separately. Come with an open mind, free spirit, and willingness to laugh! *Click the button below to be directed to our full class schedule, navigate to the date you want to register, and click SIGN UP to create and account and purchase your package! All classes meet at Paddlefish Sports Beach Side at City Beach — right in front and to the north side of the big red concession building. 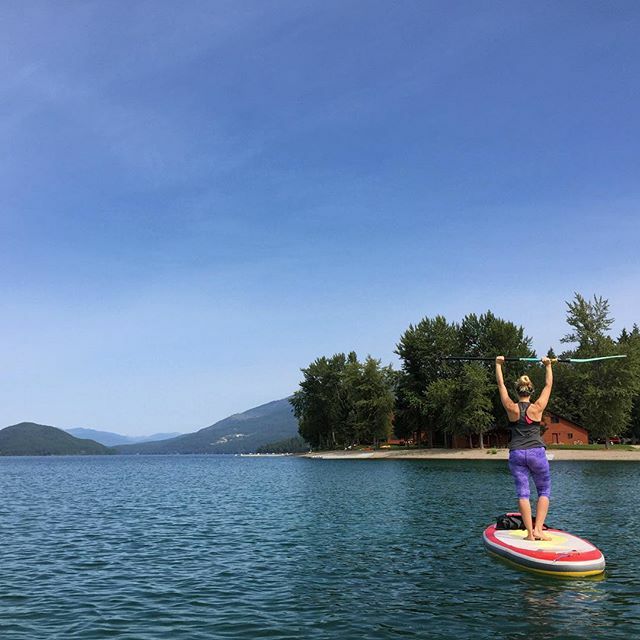 Look for the paddleboards on the beach! Whatever you feel comfortable falling into the water with! Chances are, you'll get wet. Some people wear swimming suits with nothing else, some layer up in yoga pants and a t-shirt... totally up to you. We just recommend bringing layers and deciding on the beach. Can I schedule a private session? Coming into town on vacation or for your wedding weekend? Special getaway with friends or family? 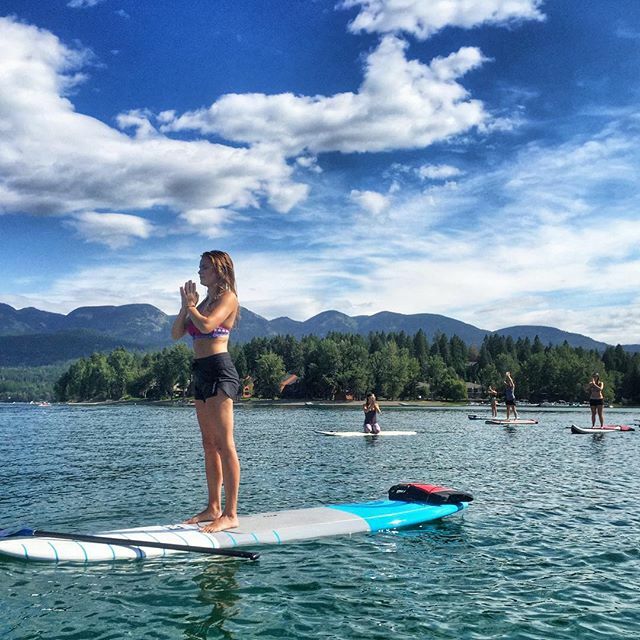 Book a private paddleboard yoga session — board rentals and a ride to the beach included for an extra fee! Please contact Mollie today to schedule a memorable experience you’ll never forget! Reservations are mandatory, as each session is limited to 15 participants.